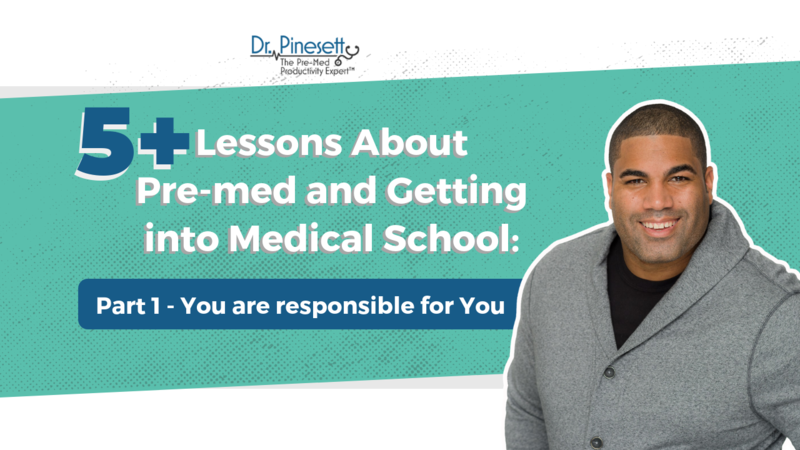 And yes, many of these lessons I got from interacting with you students because I always make it a point to listen - to keep my finger on the collective pre-med pulse - so I can stay current on what your needs and concerns are. 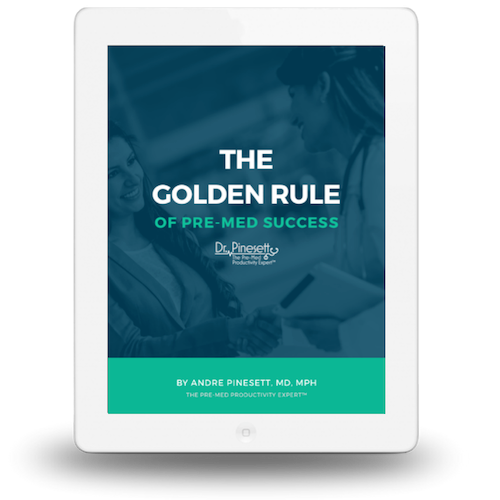 Who experiences lots of self doubt in their journey to medical school or in their pursuit of a college degree? For you non-traditional students, who has doubts about their ability to go back to school and do well, and survive and thrive? You guys are extremely powerful and capable of doing anything you want to do. The world is your oyster - all you have to do is go dine. b) once you do start to get a sense of how powerful and amazing you are, thoughts of all your past failures creep in and you are afraid to try because it might be just another failure. When i was in New Jersey Sunday, I asked the students what was holding them back from being great. One of the students went on and on for what seemed like eternity about how he won’t be able to get into an elite medical school because he is stuck attending his “crappy” state school instead of the private school that was his first choice. He was so focused on this, and how it was the government's fault for not giving him the financial aid he needed, and it was his mom’s fault for not having the money to pay for the private school. He had no choice or control in the matter. I’ll ask you, was this situation really out of his control? Did you apply for scholarships? He said “No”. Did you apply for jobs or work-study? He said “No”. Did you do anything to try to finance your education? He again said “No”. We all know what our parents make - and he knew right from the start that his mom could not afford to pay for college. So why would you depend on a financial aid counselor to give you what you need instead of taking what you need? He was so caught up in a dependent mindset that others needed to create his future that he stood by letting his dream school slip out of reach. I then proceeded to spend 45 minutes running through all the ways he could have financed his education himself. Apply for scholarships. Raise the money. Start a GoFundMe to get your first $200. Start a company, the list goes on and on. But many of us don’t see things that way. It starts with understanding that you are responsible for your dream. It’s not your mom’s job to get the money. It’s not your counselor’s job to get you the money. It’s your responsibility to go get it done. Additionally, he was allowing himself to underperform at the state school because he didn’t believe he could get into a great medical school from there. I informed him that you can get into a great medical school from any college, no matter how small or limited the resources may be. But, again, it requires you being willing to do whatever it takes to create your future. (Check out my video on How School Prestige Affects Medical School Admissions). To all of you out there, I hope you understand what I am saying here: You need to stop expecting other people to give you what you need and instead start doing whatever you have to do to get yourself what you need. 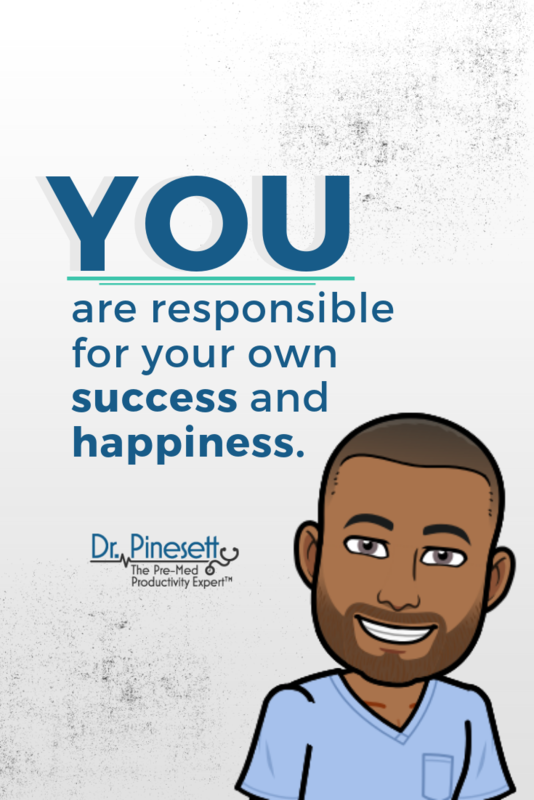 I hope this has inspired you to take action, overcome your doubts, and understand that you are responsible for your own success and happiness. Check back on the blog over the next few weeks for the rest of the 4 valuable lessons about college and the pursuit of medical school.